Exciting times are coming for Diablo III players. Today, Blizzard Entertainment sent invites to many people to join the Friends & Family beta testing of Diablo III: Reaper of Souls. No NDA. Closed Beta is going to be announced in a few weeks at a not yet determined date. In the past, participants in this particular phase of public testing usually only include friends and relatives of Blizzard employees. 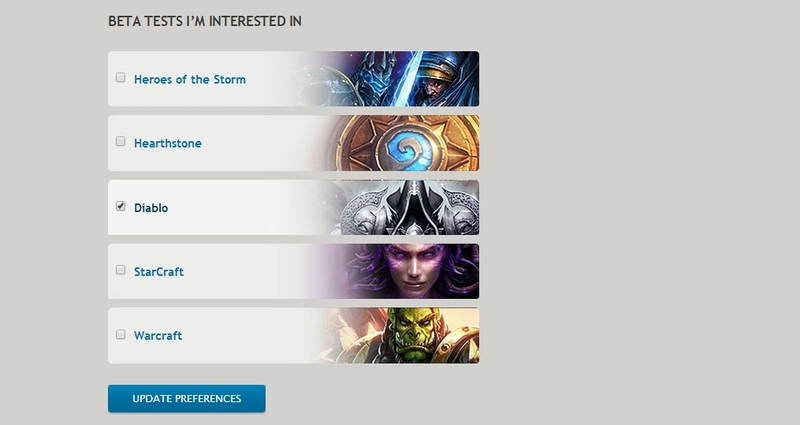 With Reaper of Souls, however, we’ve decided to buck that trend and extend invites to valued media contacts and key members of the Blizzard community. We’re also inviting 3,000 of our most active Diablo III players from around the world who’ve opted in for beta testing—something we’ve never done for any Friends and Family Beta test before! Participants in the Reaper of Souls Friends and Family Beta are not required to abide by a non-disclosure agreement (NDA). As a result, you may see coverage in the form of articles, videos, streams, and forum posts appear over the next few weeks regarding various features and changes in the expansion. When reviewing this coverage, please keep in mind that the Friends and Family Beta is still an early glimpse at Reaper of Souls, which means that all content is subject to change before release. We also encourage you to be mindful of story spoilers, as the Friends and Family Beta includes the entire expansion, excluding the final boss fight. Our Friends and Family Beta is just the first step of public testing, and by the end of the year we will be moving into Closed Beta. Since our Reaper of Souls Closed Beta test will also feature all content in the expansion (again, excluding the final boss fight), invitations will be extremely limited. However, we’ll continue handpicking community members to invite to the Closed Beta and bringing in additional players through opt-ins to ensure that all of our features like the Crusader, Mystic, and Adventure Mode get the testing they deserve. If you’re interested in participating in the Reaper of Souls Closed Beta, please make sure you’ve opted-in for beta testing. You can do this by adjusting your Beta Profile Settings under the Account Management section of your Battle.net Account. Please note that opting in to the Reaper of Souls Closed Beta will not guarantee you access, but it will at least give you a chance at joining our beta test. Around the same time we begin our Reaper of Souls Closed Beta, we will also be launching our Public Test Region (PTR) for Patch 2.0.1! This patch will feature updates including Paragon 2.0, Loot 2.0, our new difficulty system, the addition of Clans and Communities, as well as balancing and tuning for all five Diablo III classes. Anyone with the Battle.net Desktop App and Diablo III license will be able to participate in PTR testing. If don’t already have the Battle.net App, you can download and install it by clicking the button below. We’ll have more information on how to access the Public Test Region when it launches. In the meantime, if you’d like more information on the Battle.net App, check out our FAQ and be sure to send us your feedback using the Battle.net App Open Beta Forum. We’re incredibly excited about kicking off our public tests for Reaper of Souls, and look forward to collecting your feedback. The End of Days is coming!